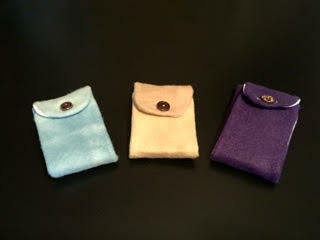 Nanci Keatley has just sent me photographs of these updated versions of her pocket oratory. They are handmade, and are a great portable aid to contemplative prayer, engaging the sight and the imagination, and directing our thoughts to heavenly things. I have one and use it daily. Some will remember my extended essay on the connection between the New Evangelization and the Domestic Church, and how the core imagery is chosen specifically to open us up to the supernatural. For those who did not read it, the first time you can read it here. The three key images are the suffering Christ, Christ glorified, and Our Lady. Now at any moment you can use this visual aid for prayer and pray the office (if you have your smartphone), or personal prayer (if you don’t). When folded they are about three inches by four inches, and fit easily into the inside pocket of a jacket. If you are interested in getting hold of one, Nanci’s email is fencing_mama@comcast.net.